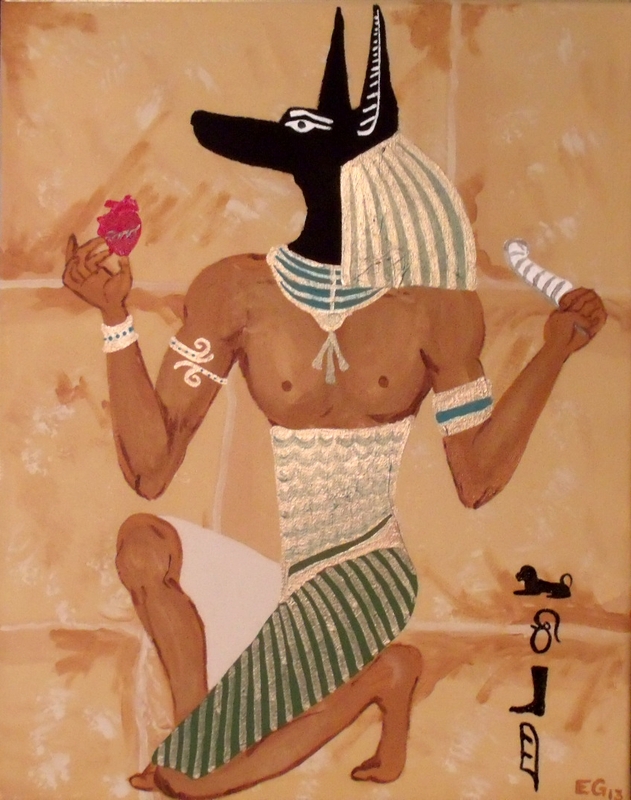 “Anubis” was painted for a friend of mine who adores Egyptian art. This piece was challenging because I was taking on a new style of art – exaggerated features, different use of color, etc, made me step outside my comfort zone. I wanted so badly to make the figure the proper proportions, but that wouldn’t make it true to the original Egyptian style. Despite its challenges, I liked doing this piece and I’m proud of the end product. This entry was posted in acrylic, ancient egypt, anubis, art, egyptian, egyptian art, egyptian god, hieroglyphics, painting, Uncategorized and tagged acrylic, ancient egypt, anubis, art, egyptian, egyptian art, egyptian god, hieroglyphics, painting on August 13, 2013 by Jumping Jack Studios.